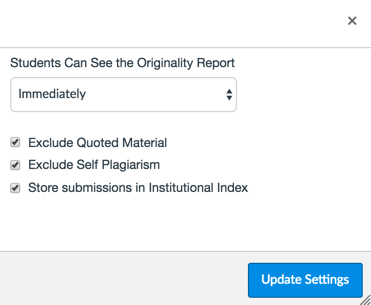 In your Canvas course navigation, click Assignments. In the text editor, enter a description or explanation about the assignment. 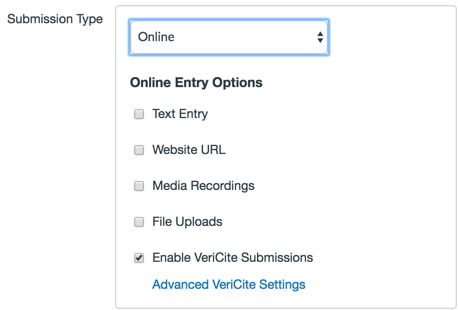 For Submission Type, select Online and Enable VeriCite Submissions. Optional. To alter settings on the assignment, click Advanced VeriCite Settings. Fill out the remaining fields, including Group Assignment, Peer Review, Moderated Grading and Due date and Availability date.